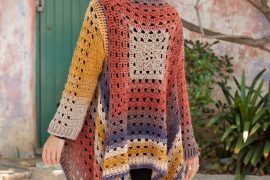 These ten beautiful crochet patterns are all free patterns but that doesn’t mean that it’ll be cheap to make them. 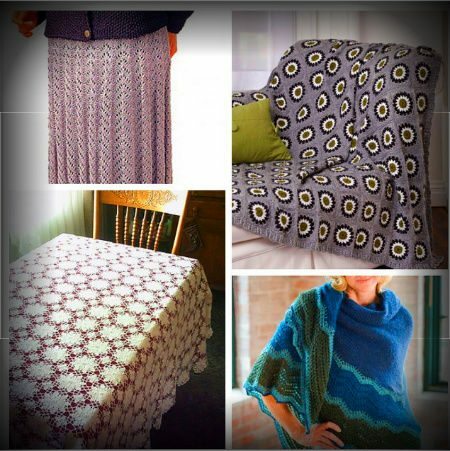 Each of these patterns uses at least 4000 yards of yarn! And although many of them are blankets, they don’t all fit into that expected large crochet category. This large crochet quilt is one of the most beautiful crochet blankets I’ve ever seen. It would be an amazing wedding gift for someone; it was actually designed for a celebrity wedding. 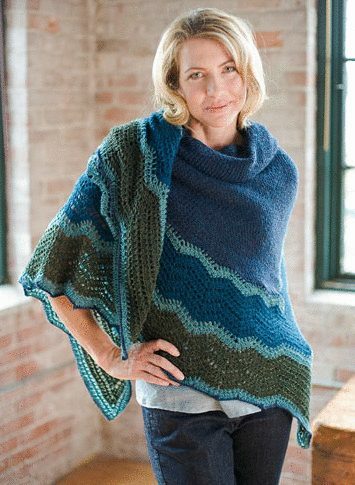 It’s offered as a free crochet pattern from Coats and Clark. Believe it or not this crochet vest requires 4800 yards of yarn … or rather size 10 crochet thread! It’s a free Red Heart crochet pattern designed by Nazanin Fard. This gorgeous crochet shawl is made using superfine alpaca yarn and lots of it! It’s a free Berroco pattern. There are several circle in granny square pattern variations and the ones for crochet blankets using this design often require more than 4000 yards of yarn. This one is the Urban Granny Throw, a free Caron crochet pattern designed my Margaret Willson. 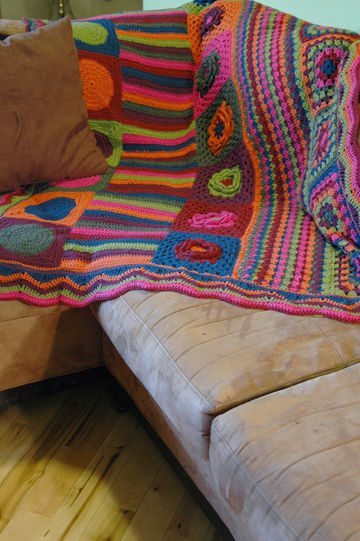 The groovyghan uses crochet circles and squares in a different way. It’s a free Tangled crochet pattern by Tracy St. John. 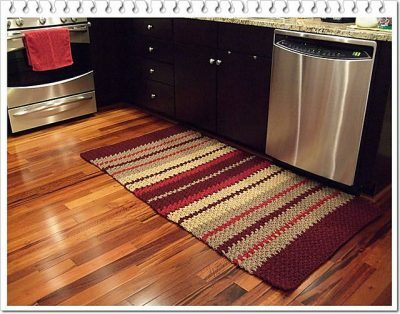 This crochet rug pattern is worked with a large hook so it works up quickly even though it’s a large project. 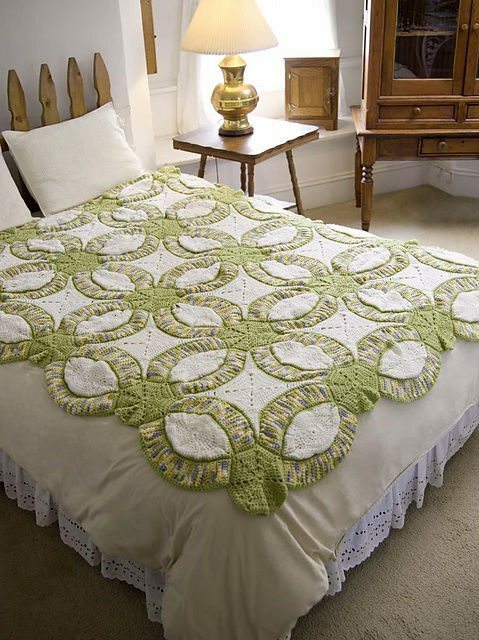 The pattern, by Chris Totty, is a free Ravelry download. The photo is from SunFl0wer. 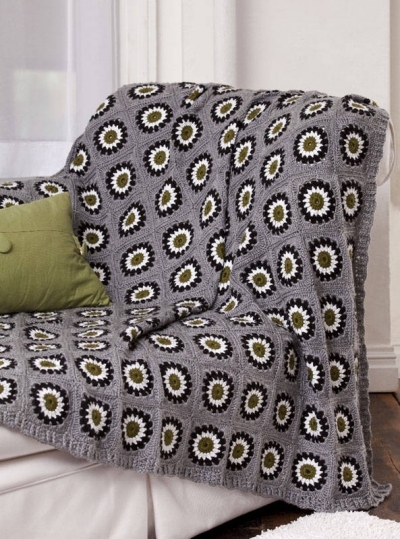 The Mitered Diamonds Throw is a pretty free crochet blanket pattern from Lion Brand. It uses two dozen balls of Vanna’s Choice yarn. 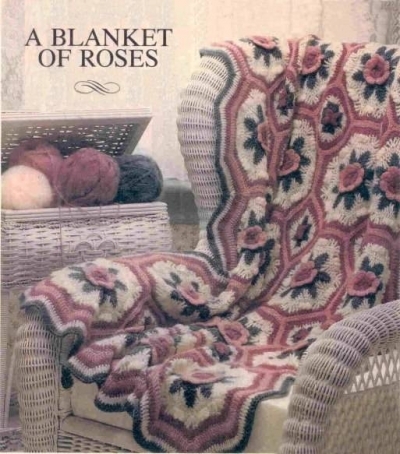 This crochet afghan pattern was written in the 80’s but I think it’s country chic style could work in many homes today. It’s available as a free pattern here. 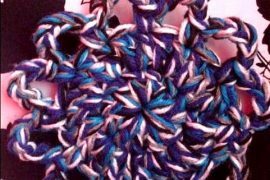 This crochet project requires a whopping 6485 yards of size 20 crochet thread and is worked with a No. 8 steel crochet hook. It’s a great project for someone who is looking to immerse themselves in a task that will take them awhile! 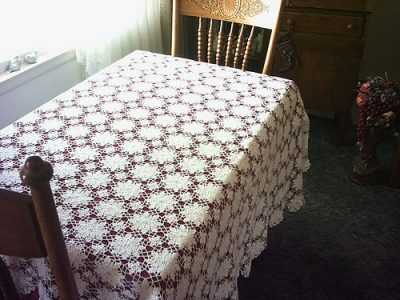 It’s a vintage crochet tabelcloth pattern from Coats and Clark. The photo is from Starbright57, via Ravelry. 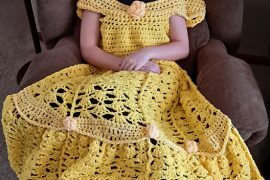 This is a really unique crochet pattern. The suit jacket is made using Tunisian crochet. The skirt is made using a combination of knitting and crochet. The entire thing is in Japanese so this pattern will only work for you if you’re good with crochet symbol charts. If you’re up for a challening project, this seems like a pretty crochet pattern! What is the most number of yards of yarn that you’ve used on one crochet project? @ToftAlpacaShop Yes – beautiful colorwork in that one! where can I get the pattern for the Skirt pls? leonora_sketa Just follow the link underneath any of the projects to get to the patterns. kalitime Wonderful, I’m sure she’ll love it. I’d be thrilled to see it when you’re done!